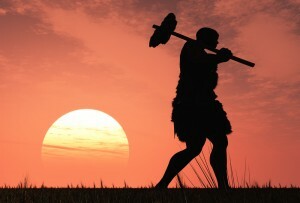 Comments Off on Could the Paleo Diet Be The Key To Long Term Health? 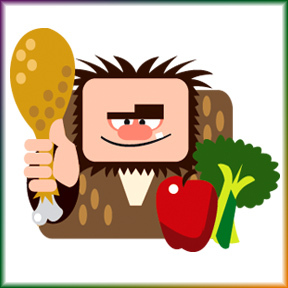 The Paleo diet is based on the principle that we should be eating the same foods as our ancient hunter-gatherer ancestors. During the Paleolithic era, our forebearers ate a combination of grass-fed animal meats (including fat and organs), seafood and shellfish, eggs, tree nuts and seeds, fruits, vegetables (likely as leaves, roots and stems), honey, mushrooms, birds and insects. We drank water, perhaps some kinds of herbal tea and possibly coconut water. We did not eat salt, sugar, legumes, dairy nor any cultivated grains. 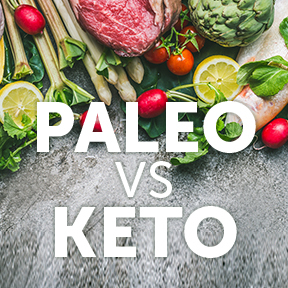 The basic premise behind the Paleo diet is that our bodies are genetically and evolutionarily designed to thrive on caveman-era foods, and that if you can’t forage for it, hunt for it or gather it, humans are not designed to consume it. Theory holds that on this diet humans led a healthy existence for a million years or more. Although this diet is currently gaining in worldwide popularity, “The Stone Age Diet,” authored by Walter Veogtlin was originally self-published in 1975. Many proponents of the diet insist that this way of eating has improved their health, increased their energy, and helped them lose and then maintain their optimal weight. Critics hold that the diet is too strict and that elimination of whole groups of foods such as grains and dairy is not necessarily healthy. Advocates claim lowered risk of heart disease, diabetes and cancer, as well as improved sleep, higher immune function and a general feeling of wellbeing. Proponents claim that although the diet seems initially restrictive it actually opens the door to a wide selection of healthier food choices. Healthy cells – Cells require fats for growth and maintenance. The Paleo diet suggests a balance of fats in healthy amounts. Healthy brain – One of the sources of protein and fat suggested by the Paleo diet comes from cold water fish especially wild-caught salmon, which is packed full of omega 3 fatty acids that support brain, eye and heart health. Builds muscles – The diet relies heavily on protein that is used for building muscle mass, supporting improved metabolism. Gut health – Sugar, processed foods and unhealthy fats all cause inflammation in the intestinal tract which can contribute to leaky gut syndrome. Elimination of these foods allows complete digestion and absorption of foods. Provides vitamins and minerals – A variety of colorful vegetables is a basic part of the diet, which recommends you eat a large amount of them. Limits fructose – The diet recommends eliminating some fruits that are high in fructose such as bananas, and limiting fruit consumption to 2-3 pieces daily. Allergy reduction – The diet suggests minimizing or eliminating foods known to be allergens for some people such as dairy, peanuts and grains. This diet is naturally gluten and casein free. Reduced inflammation – Many of the foods on the Paleo diet are considered anti-inflammatory and focuses on foods containing omega 3’s. Pasture raised animal protein has a higher ratio of omega 3’s to omega 6’s, leading to a better balance of fatty acids. Weight loss – The Paleo diet is low carb by design. Simply reducing processed foods limits carbohydrates which fuels weight loss. A low carb diet is associated with improvements in some coronary heart disease factors. Increased insulin sensitivity – Constant feeding of processed and sugary foods desensitizes the body’s response to insulin. When insulin is not used effectively, glucose is not properly absorbed by the cells which can lead to prediabetes or type 2 diabetes. A healthy diet low in sugar and fat along with maintaining a healthy weight can help reverse insulin resistance. Reduced risk of disease – The Paleo diet focuses on eating whole foods and avoiding foods that are known to be harmful to health such as processed foods, fast foods, and foods high in sugar, corn syrup and unhealthy fats. From a historical perspective, agriculture was introduced about 10,000 years ago. Around 1900 with the Industrial Age came refined sugar and grains. That means, from a genetic perspective, 100,000 generations survived as hunter-gathers, 500 generations utilized agriculture, 10 generations have followed the Industrial Age and only a few generations have been exposed to highly processed and fast foods. Elimination of foods known to increase the risk for many of our current health conditions is of great benefit. The American Heart Association recommends eliminating processed and fast foods that have little nutritional value and are high in unhealthy fats, added sugars, and sodium. A modified version of the Paleo diet, with less restriction on low fat dairy, legumes and whole grains, may be just the answer to increased health and wellness. PaleoGreens Powder – PaleoGreens is a great tasting, unflavored greens food made with organic ingredients with the principles of wholesome Paleolithic nutrition in mind. It contains cleansing, regenerative and alkalinizing grass juices, algae, enzymes, and prebiotics, combined with high ORAC value vegetables, fruits and berries. PaleoCleanse – PaleoCleanse contains quality macronutrients to fuel detoxification pathways, a full multivitamin/mineral for detoxification enzyme support, all the nutrients needed to support and balance phase I and II metabolic pathways, and high levels of antioxidant support for safe detoxification. PaleoBar – Available in a variety of flavors, PaleoBars are a micronutrient dense, health promoting snack/meal supplement that can be very beneficial in the implementation of a successful low-carbohydrate eating plan.